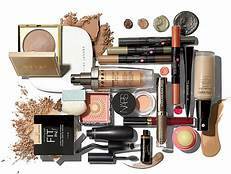 Tips: Beauty products boon or a curse? The world is being taken with a storm by beauty products. From the day a baby is born he/she is gifted with lotions, creams, body oils that only adds up to new creams and body lotion, cream that works on your pimples, facewash that makes you fairer, something that tones your uneven colour as you grow to your teenage phase. To an age of 25 where your first wrinkle is targeted and you are provided with magical touch of the creams. No that doesn't stop there it goes on and on, stronger and stronger. The insecurity of a woman/man is so well utilised by these product makers. 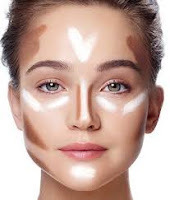 But one cannot totally deny the benefit of the beauty products to so many people who have suffered skin problems or someone with birthmark in visible areas. These product as we can see now(trending all over the social media) really have ability to change the way you look and how people perceive about you. Here are a few ideas that can make you think twice about beauty products that you use. 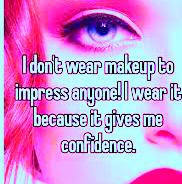 According to my survey 9 out of 10 women said they feel confident when they are wearing makeup and would think twice before stepping out without make up. So should I say the confidence they have garnered is not a real one? May be that is why she excuses herself several times to go and do her touch up. But why is it hard to realise that she is still the same person with or without the layers of creams and powder? Why is it hard to be confident in your own skin? Why do people usually forget that beauty products usually enhances the beauty in you, the beauty that is already there. So the confidence in yourself should be based on you, not on the products that you use. Oh thanks there is this new product I am trying' usually is the conversation that happens between two girls/ladies/women. When they compliment we take it as a compliment for our makeup, it could generally be a compliment for how well you have dressed up, or how well you are carrying yourself today, why is it hard for us to take compliments? We all are worth it. When was the last time you complimented someone who wasn't wearing makeup? When was the last time you made somebody feel good in their own skin? 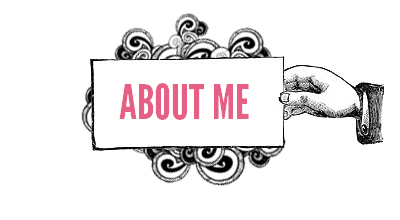 Starting from the most basic products to accumulating anything that is being advertised about. Almost everyone is somewhere guilty of it, even I am after all I too am in the same race as you are in. Layers after layers makes us feel secure, confident,beautiful. But aren't we to be blamed for it too. Just one day stop judging and stop worrying about being judged. Lets get back to 'the lesser the better'. 4 out of those 10 women said coming back and removing their makeup is the best part of the day, as they can be more of themselves than just a beautiful lie. Somewhere enhancing our beauty has taken a totally new level of trying to be something we aren't. Even the application creators know the underlying insecurities that they have created apps that makes you look totally different. Why is it hard to accept ourselves the way we are? Afraid of being critisised all you need to do is 'stop critisising' someone. Do you know you don't rise by stepping on someones shoulder? So girl stop doing that. The day you will see beauty in others will be the day you feel beautiful about yourself too. You don't need tons of makeup to feel beautiful when you already are beautiful. Beauty cannot be defined, or put into box for you to fit in. Everything is beautiful as everyone of you is.